Many reports of the decline of Bannonism fill the news cycle if only to offset a Jared Kushner fashion faux-pas and to provide cover for the actual Nazis (Gorka) who are disinforming the onrushing #TrumpRussia investigations. Remind yourself that the prevailing Trump management style resembles a porous Thunderdome where reporting a victor is a media game not reflected in the actual struggles in the White House. 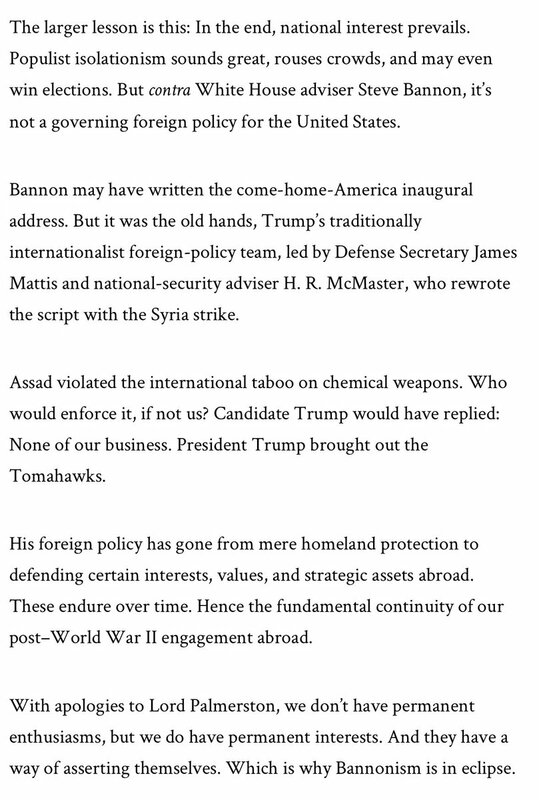 This week Ivanka’s caring about Syrian babies obscures the numbers of civilians being killed, an offsetting MOAB strike on the under-publicized ISIS-K in Afghanistan, and an apparently empty threat against North Korea ignoring their ability to wage asymmetric war against Sinophobia. 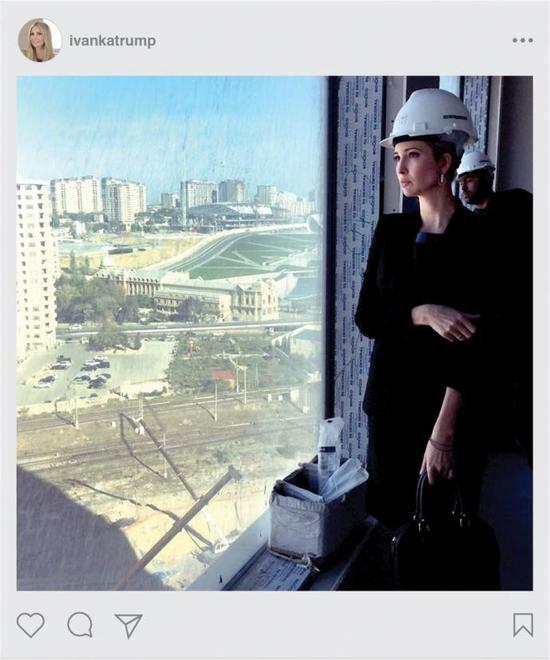 Like Brangelina, will it be Jarvanka or Ivankred? 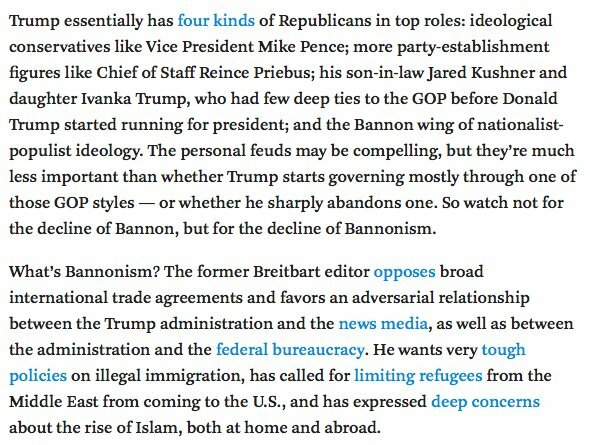 The swing to favoring Jared and Ivanka this week is what suffices for cyclical moments in the Strategy of Tension playing a commit/defect game with those conflicted Trumpists whose anti-semitism, xenophobia, and base racism were reflected in MSM and social media as #KeepBannon versus #FireKushner. This entry was posted in 2016 Election, Conspiracy, Fascists/Corporatists, Government, Government Propaganda, History, Immigration, Media, Nazis/Nazism, Political Science, Politics, Presidents, Propaganda, Society, United States and tagged Conspiracy Theories, Donald Trump, Journalism, Media, Politics, trump, White House. Bookmark the permalink.